1.Strong absorption ability(400%) , fast absorption rate. Absorb pet urine and peculiar smell within a couple of seconds fully, restrain the growth of bacteria, keep the cat litter surface dry and clean, keep the air fresh and pure. 2. Fast and hard clumping. 4.Far less usage, less garbage, easy to clean up. Cat Clumping Litter is also capable of absorbing more of an animal's waste than traditional litter. 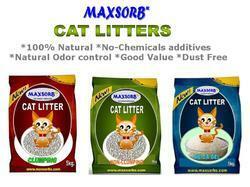 We are one of the leading company engaged in offering our clients a quality range of Cat Litter Bentonite. Our products are widley appreciated by our clients across the nation. These are made under the guidance of a skilled professionals by following quality standards. Our specialized clay is an ideal for natural cat litter. Specifications 1. Moisture Content (%) 8 - 12% 2. pH Value 8 min 3. Cation Exchange Capacity (meq/100 gm) 80 min 4. Clumping Strength (gm/10 ml) 400 min 5. Clump Weight (gm/10 ml) 20 min Distribution of Grain Size 0.5 - 2 mm (Recommended) 6. 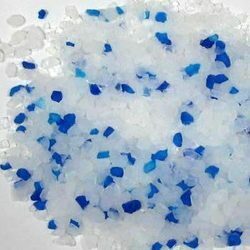 2 mm 1% max Note: We produced the material as per customer requirement also. Mahalaxmi Minerals Grade Bentonite powder can be used for Cat Litter as it has excellent swelling properties enabling absorption of refuse by forming clumps.